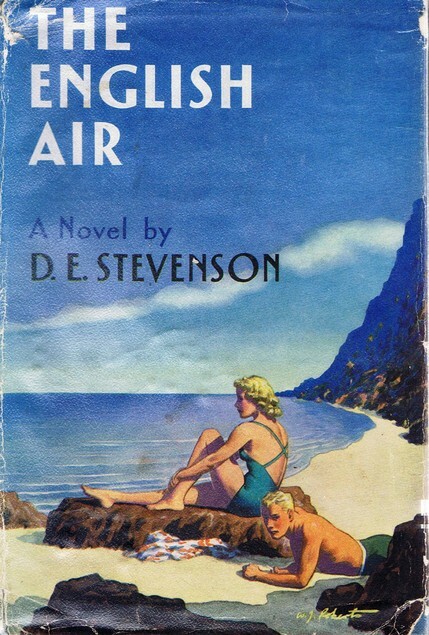 I’ve just seen the very exciting news that Greyladies, one of my favourite small publishers, has reprinted The English Air by D.E. Stevenson. This is both very wonderful and very sneaky, since there was little warning ahead of time that they would be printing it. Still, what an excellent surprise. I’ve already placed my order and can’t wait to have my very own copy of this, as it is one of my favourite D.E.S. novels (also a favourite of both Barb at Leaves & Pages and Lyn at I prefer reading). With another Richmal Crompton book (Mrs. Frensham Describes a Circle) slated to be reprinted in February, Greyladies continues to delight. I’m keeping my fingers crossed that they’ll continue rescuing Susan Pleydell’s books from obscurity and reprinting my favourite D.E.S. novels (Shirley, if you’re reading, Five Windows would be nice!). Until then, I look forward to rereading The English Air and working through the rest of my Greyladies collection. 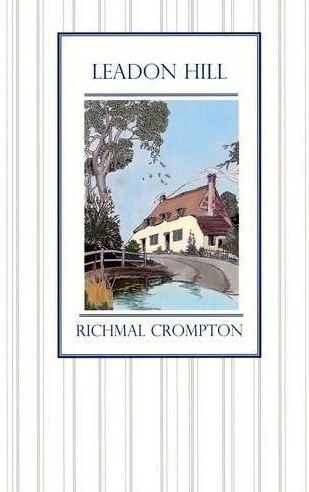 I’m not entirely sure what I expected when I picked up Leadon Hill by Richmal Crompton but it certainly wasn’t what I got. I have this idea of Greyladies books as cosy and entertaining, an entirely rational conclusion based on my very enjoyable experiences with their books by O. Douglas, Susan Scarlett, and especially Susan Pleydell. Well, Leadon Hill is entertaining but in a most unsettling way. Published in 1927, Leadon Hill is a small English village where Marcia Faversham has recently moved with her husband and three children. As the novel begins, John Faversham sets off (with his wife’s blessing) on a four-month fishing holiday with his friends. If Marcia were left truly alone it might not be so bad – she is an intelligent enough woman to be able to amuse herself – but she is left at the mercy of her inquisitive neighbours who illustrate the more poisonous aspects of village life. And yet Marcia gets off relatively easily (with the gossip only that her husband is leading a double life with a woman or family hidden somewhere else) compared to Miss West, who becomes Marcia’s neighbour when she rents the house next door. Born and raised in Italy by her English father, Helen West grew up hearing about the beauty of the English countryside. And, now living in it, she does find it beautiful. What she was not prepared for was the stifling small-mindedness of the village gossips, who are never happier than when spreading vile rumours about one another and gasping whenever someone does anything outside their narrow view of what is proper. As an artist and as a beautiful young woman living alone, Helen is a target for gossip immediately. But it is her open-mindedness and thoughtfulness towards others that truly challenges the village’s most firmly-held prejudices. Helen’s gentle philanthropy is twisted until it appears as an insult to those who received it whereas the outright cruelty of the local landowner is cheerfully overlooked when he marries the girl whom he bullied and impregnated. Used to an environment where curiosity is encouraged and kindness taken for granted, Helen wilts in her new surroundings until a visit from an old friend helps her find her way again – and provokes a new round of devastating rumours. It is a chilling little book and a very well done one. It has reminded me of how much I appreciate the anonymity that comes with living in a major city and the freedom of choosing who knows the details of my life. 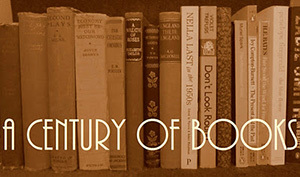 Published by Greyladies in 2011, The Fair Miss Fortune was written in the 1930s but was considered ‘“too old-fashioned” to appeal to the “modern” market’. It is certainly old fashioned, though hardly more so than Stevenson’s other books, and while far from her best work, it is a fun little story. Charles was quite sure that it would not be nice, for he was shy with the shyness which besets the exile when he returns to his native place. He had been abroad for three years – no more – but he was convinced that these people would not want him; that they would have forgotten him; that they would find him awkward and gauche, his clothes old-fashioned and shabby, his manners strange. He felt that it would have been easier to meet these people one by one, casually, in the village, or on the golf course; he felt that to plunge right into the whole crowd jabbering together in an over-heated room was going to take the kind of courage he did not possess. And the party is rather ghastly for Charles, save for two things: he is reunited with his childhood friend Harold Prestcott and he learns about Dingleford’s newest resident: Miss Jane Fortune. Miss Fortune, a pretty young lady of nineteen, has arrived with her nanny in tow to open up a tearoom in the village. Before too long, Charles – a man of action – has made friends with Miss Fortune and is well on the way to being in love with her. And the lady seems to be feeling much the same, until she is suddenly cutting him in the street, acting coldly towards him when they do meet, and generally not behaving at all like the adorable Jane. Of course, she is not behaving as herself because she is not herself. 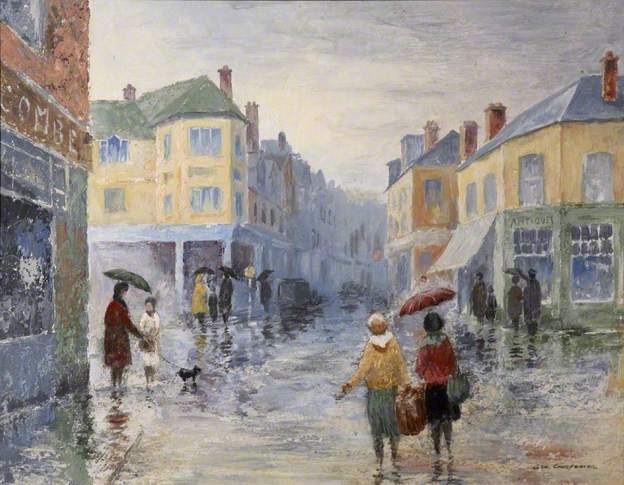 Jane’s identical twin sister Joan arrives in Dingleford fleeing the attentions of a sinister Frenchman. Hoping to avoid discovery by said Frenchman, she decides not to announce her presence and so, with Jane’s half-hearted approval, Joan masquerades as her sister. The two girls make certain that they are never out and about at the same time but their very different characters and very different romantic inclinations make rather a mess for both Charles and Harold, who have both fallen in love with Miss Fortune – thankfully, each with a different Miss, though they have no idea. Of course, all ends well, though I have serious doubts that the tea room will ever be opened. It is a short, undemanding little book and, to be honest, I can understand why it was not published earlier. It is far from Stevenson at her best. But, that I said, I am happy Greyladies printed it and that I had the chance to read it. I sped through it before bed on Sunday night and it was the perfect thing to end my weekend with.